Single pole, single throw toggle switch turns one circuit on and off. Common applications include intermittent horn or Windshield wiper control. 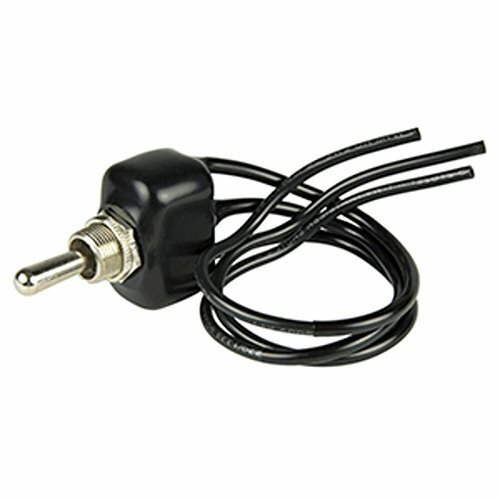 This toggle switch is PVC coated. Nominal voltage is 12V/24V DC. Rated for 25A at 12V DC, 15A at 24V DC. 8" 16 AWG wire lead Terminals. Mounting stem 15/32" fits panels up to 1/4" thick. Replaces Cole hersee part number 55020-04.